There is a trend that has been growing lately, and one that I'm all too in love with. I've focused my hobby time almost entirely over to skirmish scale gaming, armies of less than 20 or so models, and better yet when the entire faction is represented by as many. There's no hiding that I love Infinity as a game, and quite enjoy painting and converting the models (I've come to love cutting into pewter). But I'm the kind of person who likes variety, so I'm always keeping my eyes out on other rule systems (recently read the rules for Frostgrave), and other ways to enjoy my hobby, beyond Infinity. Lately, I've taken the chance to check out Aristeia! and Warhammer Underworlds: Shadespire. Both of these games are hex-based arena combat games, with varying styles of gameplay and strategy used. Furthermore, both of these games are played on a cardboard game table (though I'll certainly be getting some MDF versions eventually), using custom dice and counters, in the end, they play like a hybrid of a board game, and a traditional miniature strategy game. 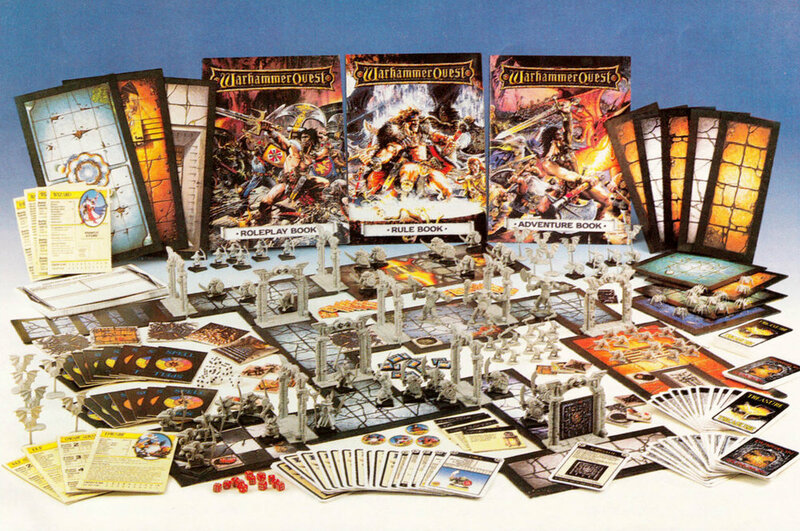 This is hardly a new concept, similar games have been around for ages, HeroQuest was probably the first miniature game I played. My friend and I had the rulebooks for Rogue Trader 40k and liked the setting, but this game was far more approachable. Our 13-year-old hands weren't skilled yet to craft tables of terrain, and lovingly painted models, but we were just fine to play with some plastic minis on a game board. Over the coming years, we would get into 40k, and every specialist game made, but we also kept coming back to board game style miniature games. After playing HeroQuest for a while, we graduated to Warhammer Quest, in college I discovered Blood Bowl and Space Hulk. Games Workshop has stated bringing back their classics, Space Hulk led the charge, and was reproduced faithfully to the original game, but with amazing, updated miniatures. Warhammer Quest is back now as well, with Silver Tower and Shadows Over Hammerhal, both of which are actually really solid games, and while Silver Tower is very different than the original, Hammerhal feels more like the Warhammer Quest I remembered growing up, and the new adversary cards will make it even more flexible (now we just need a good way to make random dungeons). 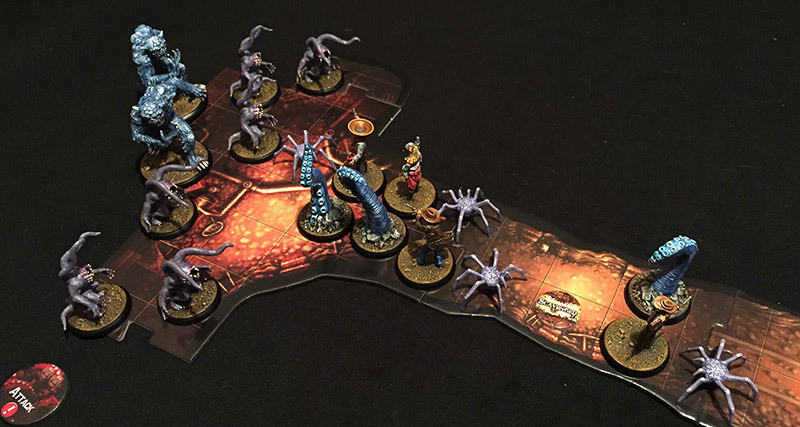 Shadows of Brimstone is a great game that's been around for a few years, while not made by GW, it is very reminiscent of the original Warhammer Quest with a Cthulhu skin, again, very much worth picking up, or at least trying at a game night. 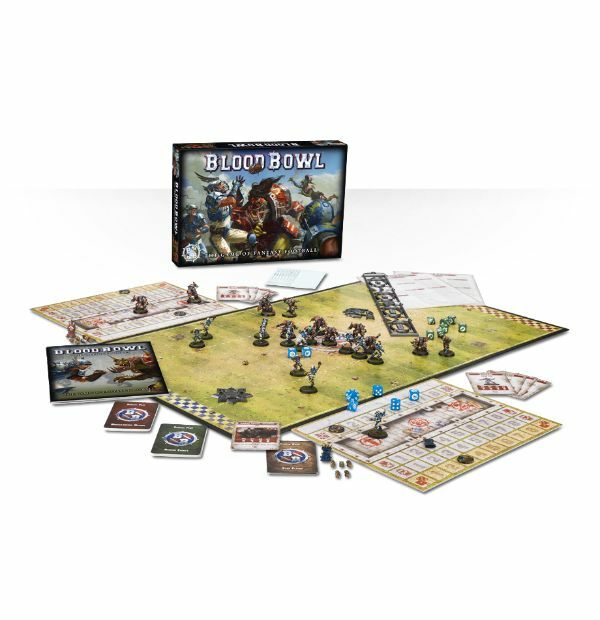 We also can't forget that Blood Bowl is back, with rules nearly unchanged in 2 decades. GW did the right thing and let the community keep playing the game they love, but this time with new support and amazing teams. This game is so solid that there have been two recent successful video game versions of it that play totally faithfully to the game mechanics, including the various ways Nuffle, the god of Blood Bowl, like to curse you and your dice, and hates everything you stand for (maybe that's not part of the game itself, but certainly feels like it at times). In addition to resurrecting and repurposing classic games, new games are coming out that work in the same vein of board games with miniature game pieces, as well as bringing more tactical gameplay. Aristeia! by Corvus Belli is a great example of a new board-game-style miniature strategy game, with a lot of replay value out of the box, and is designed from the ground up for competitive gameplay and tournaments. 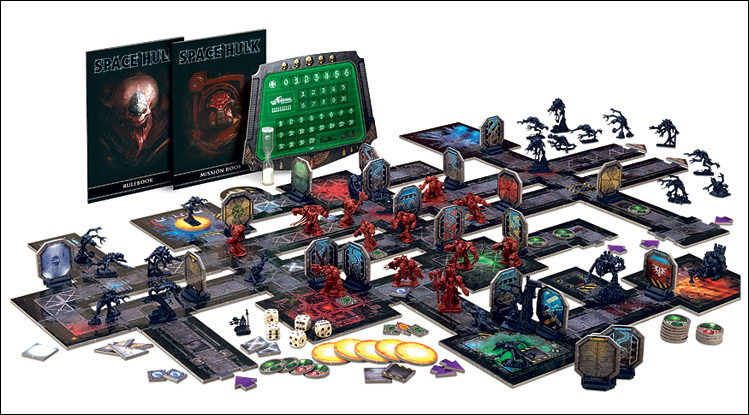 Warhammer Underworlds is a very similar game to Aristeia!, being a hex-based arena combat game, but the strategy involved is very different, relying heavily on the deck-building component, employing some card game type strategies, in addition to classic miniature game tropes like positioning and board control. Both of these games feel absolutely modern in their game design. Both games being very fluid and easy to pick up, while providing multiple levels of strategy to explore, nothing about either feels clunky, but instead they are fast and very engaging. There are plenty of games not mentioned above, not because they aren't good, but because I haven't played them, or they don't hit me in the nostalgias. I've heard good things about Star Wars Imperial Assault, but have had no desire to play it myself. Super Dungeon Explore is another game that's been on the periphery for me, with fun looking miniatures and gameplay, but possibly on that side of the board game line to really cross into my main interest set. It seems that every day on Kickstarter, there's another board game with amazing miniatures coming along. Right now seems like the golden age of miniatures games, but also we are in the revitalization of a genre that faded from the spotlight for a few years/decades. I hope that the high quality miniature board games keep coming, they're fun to play, offer a lot of variety to paint, and often have interesting and dynamic gameplay. So what do you think about these types of games? Do they deserve the mantle of being called Miniature Strategy Games, or should they go back on the shelf? What games have you played that I missed, or otherwise recommend?